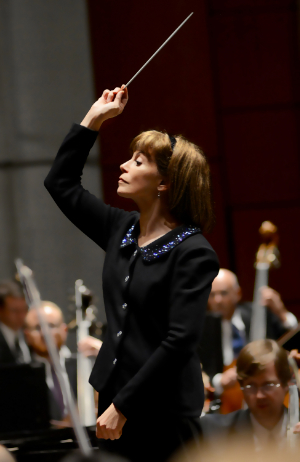 JoAnn Falletta has announced her intention to end her tenure as the Music Director of the Virginia Symphony after two more seasons. In the 2020–2021 season, the Virginia Symphony will celebrate its centennial, and JoAnn explained to the musicians that she preferred to have that milestone be entirely forward looking (with a new Music Director either in place or arriving soon with great fanfare) rather than looking back at her time here. Such a selfless decision is entirely in keeping with her devotion to the orchestra. A season brochure for 1990–91 pictured six guest conductors who were finalists for the Music Director position. On the cover, one of those finalists’ names was misspelled. The misspelling of Falletta (one L) may have been a mistake, but hiring her most certainly was not. Her VSO legacy will include many recordings and tours to Carnegie Hall and the Kennedy Center. Rather than recite the artist management boilerplate rhetoric of orchestras conducted, critics quoted, and awards won (that makes all Music Directors sound pretty much the same), perhaps it’s best to summarize JoAnn as a champion of new compositions and a genuinely compassionate person. She has conducted many ICSOM orchestras and continues her roles as Music Director in Buffalo and Artistic Advisor in Hawaii. She has been willing to conduct orchestras in trouble as a benefit. Off the podium too, she has earned a reputation for her respect and love for musicians. 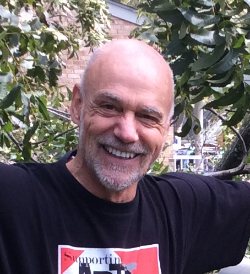 When the late percussionist John Grimes arrived in Norfolk (for the 2009 ICSOM Conference), he had come directly from Venezuela working in “El Sistema” and was looking for a place to wash some clothes. Unable to locate a laundromat driving around downtown Norfolk, he asked a pedestrian where he might find one, explaining his predicament. Well, John certainly asked the right stranger. “Nonsense,” JoAnn replied. “I’ll do it.” The next day John had clean and folded clothes waiting for him at the Marriott. Last summer at the ICSOM Conference in Buffalo, JoAnn participated in a panel discussion called “Back from the Brink” about orchestras that had experienced grave troubles only to return to viability and improved health. The statement she made that stuck with me was that turning an orchestra’s fortunes around always requires a board dedicated to success. Certainly we all know the truth in her observation, regardless of what our own Board cultures may be. That letter from the White House was sent on the occasion of JoAnn’s twentieth season as Music Director of the Virginia Symphony. We’ve since celebrated a twenty-fifth season, but we won’t celebrate a thirtieth. Instead we will begin our second century under new leadership with a Music Director who will owe JoAnn Falletta a great deal—for her arrival here over a quarter century ago, for her work to improve the Virginia Symphony since then, and for her exit at the perfect time to benefit the organization and whomever her successor turns out to be. As JoAnn noted recently, “One of my proudest moments was when the VSO was invited to be a member of ICSOM.” Of course, that would not have happened when it did without her.